The Trump campaign and transition have aroused anxiety unlike anything seen in the recent history of US presidential leadership changes. This is visible in virtually every region in the world: Mexico, Russia, and Iran have stood in the forefront for very different reasons. Yet, while the drama of the “wall,” the “hacks,” and the “deal” have no ready parallel in East Asia, the “tariffs” on China, the “call” with Taiwan, and the “burden-sharing” with Japan and South Korea, as well as the renunciation of the TPP for the Asia-Pacific are indications that this region too is a caldron of anxiety. In the four articles that follow, we explore how Trump has been stirring concern about how he will deal with China and what his policies toward allies in the region will be. Authors offer perspectives on what his policies should be and warnings on what are seen as choices he might make that could seriously set back US policy to East Asia. The Trump transition in international relations of the Asia Pacific has moved from the stage of shock to that of suspense to the current state in mid-December 2016 of unease mixed with alarm. There was never any doubt that Donald Trump’s handling of US foreign policy—from alliances to rivalries—would be unorthodox, defying, as his political campaign kept doing, the conventions of Washington and international diplomacy. His off-the-cuff approach to phone calls of congratulations from world leaders and his circus-like parading of candidates for top foreign policy positions serve as a reminder that business as usual cannot be expected during his tenure. The “tweet presidency” keeps everybody off balance, and our coverage touches on four perspectives on how he should deal with China and how his election is stirring reactions in East Asia, with stress on Japan and attention to the Korean Peninsula, Taiwan, and Southeast Asia. There is consensus that this transition is far-reaching. From an entire month of transition, what should we take as the opening signs of the Trump substitution for Obama’s “rebalance to Asia?” First, do not count on even a minimal degree of continuity, as occurred in every other US presidential transition since at least WWII. The normal caution of a new leader assuming an extraordinary responsibility and the normal deference to professionals who are steeped in rules of the game just do not apply. Second, be careful about judging Trump’s policy thinking on the basis of campaign rhetoric, since he feels no obligation to be consistent and has said many things that were not the result of even rudimentary policy review. At the same time, avoid the alternative of thinking that this means predictable moves embracing US national interests as previous presidents have tended to do. As for the impact of his personnel choices, the third instruction to note is that Trump shows partiality to four types: 1) populists, whose “America first” rhetoric duplicates his own; 2) protectionists, whose unconventional economic agenda casts doubt on past US commitments to free trade and the existing global rules; 3) generals, whose bent for a more assertive US stance would redouble the military side of the “pivot to Asia” and alliance building at the expense of other aspects of Obama’s approach; and 5) energy sector boosters, who dismiss the fight against climate change and are intent on developing energy resources beyond anything recently contemplated. Yet, all of these designated appointees already face the complication of Trump’s willful and precipitous conversations with foreign leaders and tweets that produce results left to others to clean up. There is no coherence now, but bold moves have been taken. Conversations with Putin, Abe, Tsai, Duterte, and Sharif have drawn attention, while those with Park, Xi, and Modi were not viewed as very noteworthy. The telephone exchange that took place with Putin is of importance because of the potential for a 180-degree turn in US foreign policy, taking a narrowly transactional approach and accepting spheres of influence for great powers. Already, Russia may be adjusting its diplomacy with Japan in order to await US overtures. Trump’s rejection of findings by the intelligence community is unprecedented. As for Abe, he desperately sought to be the first to meet with Trump, as unorthodox as that early move was. More than the hopeless aim of saving TPP, his purpose was to put the US-Japan alliance on firm ground after the “shock” felt in Japan by Trump’s win. In this case, Trump met the minimal standard of reassurance to the temporary relief of many Japanese. The Trump-Tsai phone conversation drew the most headlines; it was interpreted as a shift in longstanding US policy toward China as well as Taiwan. The fact that this was done without policy input from those who manage these relations is testimony to the coming, reduced role of the State Department or other guardians of foreign policy expertise. The reported invitation to Duterte to visit Washington is a slap in the face of Barack Obama, whom the rash Philippine leader had personally insulted, and of “universal values” as a factor in US foreign policy, given that Duterte stands accused of mass executions on the street of people suspected of drug offensives. Trump’s words about Pakistan put in danger the much touted US appeal to India to become a strategic partner, especially in facing the rise of China. In one area after another sensitive for diplomacy Trump has spoken without vetting his remarks in a manner befitting a president-elect. We are undoubtedly in for a rocky road ahead. Identifying seven objectives of the Obama administration, we can begin to assess the challenges Trump will face in keeping the core of the “rebalance” or replacing it. 1) balancing economic and military leadership without allowing the economic side to erode—a task made more difficult by dropping TPP; 2) keeping Japan-ROK ties from reverting to constant sniping and undermining of trilateralism—a task made harder by emboldening Abe and alienating Park’s successor, as seems likely; 3) shoring up ASEAN centrality behind international law and values—a task newly complex as a result of developments in the region and requiring nuanced leadership; 4) putting a lid on PRC-Taiwan tensions, as US leaders have done rather successfully to now, but Trump shows signs of casting aside; 5) maintaining a tightening sanctions regime against North Korea as the pressure that could lead to denuclearization—a task with little hope unless Sino-US relations are handled skillfully, as seems less likely; 6) not provoking China and Russia to tighten their quasi-alliance—an objective Trump may ignore as China has abruptly voted at the Security Council with Russia rather than voting to abstain, as was expected; yet Trump may approach this by drawing close to Putin; and 7) drawing India into East Asian balancing by making it a valued partner—not easy to do if US-Pakistan relations are mishandled, as was indicated in reports of the Trump-Sharif phone conversation. Nuanced diplomacy is required to deal with such disparate challenges; few expect that skill of Donald Trump, and the inexperience in government or diplomacy of his appointees adds to the doubts. The four articles that follow address the question “what should the next president do?” while pointing to different challenges spread across East Asia. We consider the Taiwan challenge, now made more immediate by Trump’s conversation with Tsai. We reflect on the reaffirmation of the rule of law in issues affecting international relations, notably in Southeast Asia, where the South China Sea looms as the number one test case. Moreover, we look at South Korea and expectations for coordination in facing North Korea. Our coverage also takes a close look at the Japanese media, as it—since November 8—debates the Trump impact on East Asia. In all of these articles, the concern with China is unmistakable. Whether the focus is Taiwan, the South China Sea, North Korea, or Japan’s nervousness about US policy changes, Trump’s handling of China stands in the forefront in the entire set of articles that follows. The contrast between June Dreyer’s take on Trump’s likely impact and Lee Chung Min’s take starts off our set of articles. For Dreyer, Obama’s weak leadership opens the door to correctives welcome to US allies and promising for regional security. In contrast, for Lee, Trump’s rejection of approaches welcomed by US allies threatens the fabric of regional stability. Both are concerned by Trump’s abandonment of TPP, but they differ on how confrontational the response to China’s actions should be and on the prospects of effective US leadership through the approach Trump may adopt. The juxtaposition of Jacques deLisle’s analysis of legal aspects of managing relations with China and Gilbert Rozman’s reporting on Japanese anxieties and hopes for the Trump presidency—often in a trilateral context with China—adds two additional perspectives. After all, US leadership is rightly judged by the degree to which it is couched in the rule of law as the crux of internationalism, which Trump’s rhetoric puts in doubt, and the US presence in East Asia is anchored in Japan, whose views of Trump should be watched carefully. Serious challenges lie ahead in both respects. Part of Trump’s formula for making American great again is to deal firmly with Beijing, which, along with a greedy US corporate culture, he has viewed as the chief reason for America’s fall from greatness. According to Trump, successive US administrations have got China wrong. On trade issues, most of his seven-point plan touches on relations with China, either directly or indirectly, with steep tariffs a strategic negotiating strategy to stop China from cheating on international trade deals and crucial to bringing manufacturing jobs back, argues Dreyer in her article. The country that Trump accused of perpetrating the greatest theft in the history of the world has vowed to retaliate. Global Times warned that Boeing orders would be replaced by Airbus, auto and iPhone sales in China curbed, and imports of soybeans and maize would be sourced from other countries. Dreyer says China might also limit the number of its students studying in the United States. On trade, Trump faces tough challenges, she concludes, expressing doubts about his decision to stop TPP. On geopolitics, however, Dreyer finds the criticisms of Trump less persuasive. The mantra that there can be no solution to problems such as North Korea (and Iran’s) nuclear proliferation activities has sounded ever less convincing. To many, Beijing is not the solution to major world problems; it is the source of them. Some felt that, as someone experienced in the art of making deals, Trump would seek to use Taiwan as a bargaining chip in negotiations with the PRC, others that the new president would never sacrifice an area with geostrategic importance as a crucial link against the Chinese navy’s plan to break out of the first island chain into the open Pacific. A third group believed that Taiwan had long ago lost its strategic value to Washington.Dreyer notes that how much Trump can make good on his vow to stand up to China is a fraught question. A first step, though largely symbolic, is his announcement that he plans to meet with the Dalai Lama. On issues of larger geostrategic significance, some of Trump’s advisers feel strongly that the Obama administration tacitly ceded the South China Sea to the PRC except for only occasional freedom of navigation exercises that do not seriously challenge China’s administration of its nine-dash line.As one who considers himself a master of the art of the deal, Trump should realize that bargains can be reached only when one has trust in the other party. Thus far, Xi Jinping has not shown himself worthy of that trust. There will be a period of testing, as each side tries to feel the other out. It is likely that Beijing will challenge the new president. Trump should be prepared to respond in kind, lest he, like Obama, be found wanting. This is Dreyer’s advice on how Trump should “deal” with China. Lee says it remains unclear how well policy is going to be crafted and coordinated owing to the convergence of extremely combustive forces, including a commander-in-chief who may be driven by his own instincts. He adds that Trump could undermine the post-World War II liberal international order through: (1) fostering an implosion of the US-led alliance system; (2) imposition of tariffs on China and other states who enjoy large trade surpluses; and (3) upending the hitherto American and European strategy in Syria by teaming up with Putin. He spent the campaign threatening to upend what has been called the liberal international order. He has said he would tear up and renegotiate trade treaties. Even if Trump proceeds to engage in a trade war with China, he will realize that none of his allies will support such a move and, more importantly, that China would not sit still. With a completely new kind of leader preparing to enter the Oval Office, it is already looking like a world turned upside down. If the incoming Trump administration walks back from the traditional US role as the leader of global free trade, as is likely, the only other global economic power that can pick up the mantle is China, asserts Lee. It would provide a unique opportunity for China to emerge as a “responsible stakeholder”—what the United States has consistently asked China to do. Ironically, if Trump scales back US engagement, is satisfied with the status quo in the South China Sea, and pressures key allies to revamp their security arrangements with the United States, China would reap a major windfall. For the first time since bilateral relations began to be normalized in the early 1970s and China embarked on its economic reforms in the late 1970s, it may well be China, rather than the United States, that will lead in formulating a comprehensive vision for Asia, in tackling trade and economic issues, and even in putting into place key pillars of its own regional security architecture. Lee concludes that there is little doubt that China’s overarching geopolitical influence in East Asia is going to grow in tandem with two parallel trajectories: waning American power relative to its position during the Cold War era and the so-called unipolar era, and increasing inability to put together a viable Asia policy with matching resources and bipartisan political support. The consequences flowing from this strategic arc are likely to be much more damaging to US interests in Asia than any single policy turnaround that could be engineered by Donald Trump. Trump may well face a North Korean crisis early in his term if Kim Jong-un opts to welcome Trump with a sixth nuclear test or another ICBM test amid the difficulty of coordinating responses with South Korea since the Park Geun-hye government is in freefall, observes Lee, with no confidence that Trump will work well with South Korea. Lee concludes that America can never be great again without real friends and trusted allies. The problems Trump will encounter in dealing with China are ones that would confront any early twenty-first century US leader and are rooted in long-term developments that are largely beyond the influence of near-term policy choices. To some degree, the challenges are inherited from Obama’s incomplete agenda. In significant part, they have been made more difficult by Trump’s statements or actions. These three-layered contexts shape the options for US policy, according to deLisle’s analysis. For regional security, the principal task is to reassure friends and allies that the United States remains a reliable partner (albeit one that must depend on greater burden-sharing), and that it has the will and capacity to join regional states in deterring or resisting moves by China that threaten a long-durable postwar regional order of peace, stability, and openness, deLisle asserts. Throughout the region, uncertainty about the durability and depth of US commitments exists. The pivot brought no major increase in commitment of military resources, as measured against China’s growing prowess. Pre-inauguration emanations from Trump have dug a deeper hole. Campaign remarks suggesting that the United States under Trump could reduce its security commitments unless allies and partners were willing to pay more, and indicating that Trump might regard with equanimity the prospect of Japan or South Korea acquiring nuclear arms to substitute for diminished American guarantees have been costly. These musings not only further shook already shaky confidence across the region, they also risked strengthening arguments in China for greater assertiveness and self-confidence. Appointments to national security posts encouraged expectations that there would be a pivot away from the pivot—back toward the Bush administration’s emphasis on the Middle East and jihadism. Trump’s image as a businessman, and the apparent insubstantiality of many of his foreign policy views, have fostered beliefs in China (and concerns elsewhere) that the “anti-China” elements in his rhetoric can be discounted, and that he will make “pragmatic” deals that serve China’s strategic interests. Achieving goals likely will require an emphasis on cooperation and communication with allies and partners, a strong foreign policy focus on East Asia, and a considerable degree of patience and a level of nuance that have not yet been on display from the incoming president and his advisors, deLisle adds. There is increasingly much to criticize about the ways in which China’s economic laws, policies, and behavior violate international legal obligations, depart from norms of free and fair trade, and tilt economic playing fields in favor of Chinese interests. A tougher stance toward China might induce more conforming behavior, but only if the threats are credible and the demands targeted, specific, and reasonable—features so far lacking. On specifics, deLisle argues: a security commitment without an economic dimension—the pivot without the TPP—is likely unsustainable and not credible with China or friends and allies in the region; there may be little that US foreign policy can do to win significantly greater cooperation from Beijing in addressing the North Korea problem, but there are options that would make matters worse and that appear to hold appeal in Trump policy circles; and policies of the relatively recent past generally served US interests on Taiwan and cross-Strait issues. They have: deterred the regimes on both sides of the strait from conflict and, most of the time, crises; helped to preserve a de facto independent Taiwan with a vibrant democracy; and, since 2008, kept the United States out of the problematic role of mediating cross-Strait quarrels. This is not to say that an adjustment of policy in a more “pro-Taiwan” direction could not serve US interests. There is a strong normative case for more effusive US support for Taiwan, but precision of language—another trait not strongly associated with Trump—is valuable in navigating a policy area characterized by the rich, almost scholasticist, catechism of the Three Communiqués, Six Assurances, Three Nos, and much else, deLisle concludes. 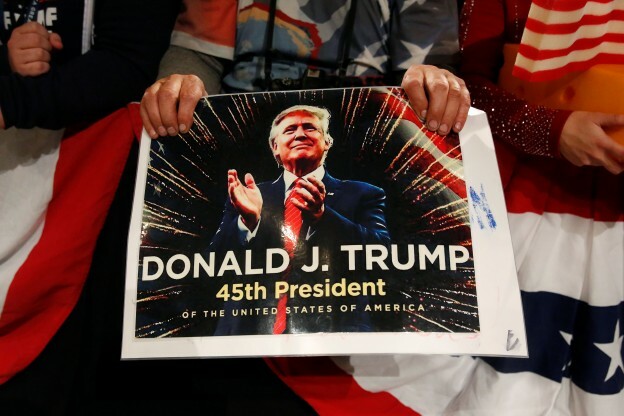 Japanese awakened to Donald Trump’s victory in disbelief, coining the label “Trump shock” to go with other “shocks” memorable in their history with the United States.For a few days, at least, there was an element of panic across the political spectrum, as Abe was seen as lacking personal ties to Trump—a matter highly valued—and Trump was viewed as having predispositions not favorable to Japan’s interests.Japan had lost TPP and trust in its sole ally. Still, it had to beseech US help in limiting the damage, especially with regard to regional stability and an emboldened China.The convulsions of November 2016 were, in places, equated with 1945 and 1989-1991 as paradigm changers, even if the meaning is vague. Simultaneous setbacks in ties to Russia, South Korea, and Southeast Asia left the right at a loss on how to compensate for what Trump might do. Yet, a level of calmness soon set in, with care not to make the situation worse mixed with some anticipation that it may turn more positive. As the focus turned to the likelihood of increased Sino-US tensions, e.g., after Trump spoke with Tsai Ing-wen by phone, there was a growing sense of relief in Japan, even if Trump’s priority for economic pressure on China is at odds with Japan’s priority on military pressure. Some Japanese sources also view Trump as, on balance, a plus for China. It would no longer be under so much US pressure, US alliances would fray, and more countries would be prone to accept Chinese hegemony. Yet, alarmabout China was attenuated for some by hope that, at last, Japan faced an opening to move beyond its abnormal security situation. This was buttressed by a negative view of the United States—now intensified—and by frustration over how slowly Japan has realized aspirations that have bubbled up since the 1980s. Claims that Trump would make his country great again are widely ridiculed, while signs of Abe being able to take a broader leadership role in East Asia are highlighted. The overall response was more muted about Japan’s prospects. Few were optimistic that it could navigate a change from one era to another with less US support. Yet, the issue was difficult to treat in the abstract without focusing on the impact on China.The conservative camp was growing more hopeful about Trump, viewing him in a trilateral context with China. Many in the business community and on the political left were dubious. Even among realists who value internationalism, their doubts about Trump remained strong. Trump may become a convenience for the right wing to pursue its agenda, but both realists and business are nervous about his potential impact on the region.